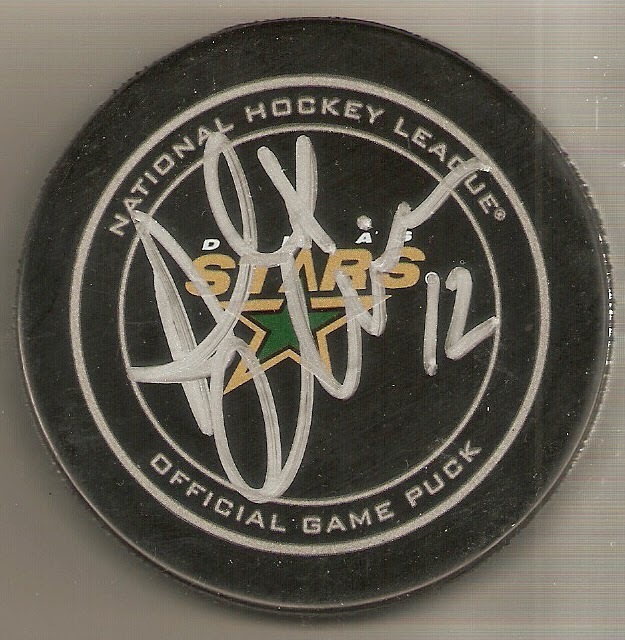 While he is no longer with the Dallas Stars, I still wanted to pick up an autographed puck of Alex Chiasson, especially at the price I was able to get it at. I always like Chiasson, and though that he would be a great part of Dallas's future. Things changed, however, when he was dealt to the Ottawa Senators as part of the deal that brought Jason Spezza to Dallas. So far this season, Chiasson has played in 44 games with the Senators, scoring 8 goals and 10 assists. It's pretty close to the pace he was at last season, so hopefully, he can keep up the good work.